A PhD scholarship in signal processing is available at Chalmers University of Technology. The funds for this fellowship are available for 4 years. Candidates are welcome before March 17, 2019. We are looking for innovative self-motivated people that will be able work independently as well as in larger teams and are interested in cross-disciplinary work. Fluency in English is a requirement. 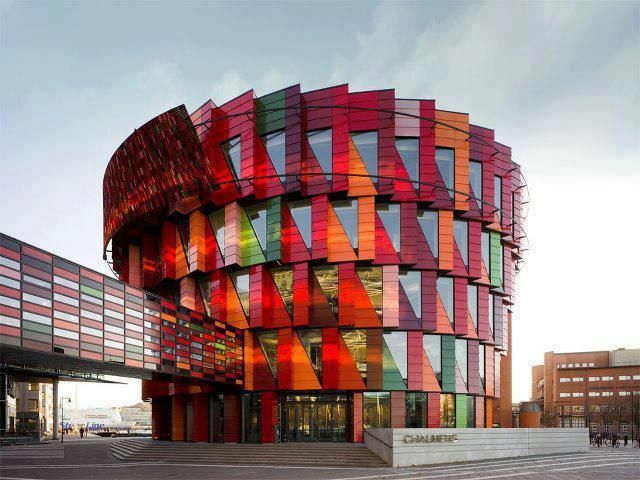 Chalmers University of Technologyis located in Gothenburg on the scenic west coast of Sweden. It is among the top research schools in Europe. English is the working language and candidates of any nationality may apply.We particularly encourage female applicants to apply for these positions. The open positions are with the department of Electrical Engineering (E2) and the Department of Microtechnology and Nanoscience (MC2). In E2, research is performed in the areas of Communication and Antenna systems, Systems and Control, Computer vision, Signal processing and Biomedical engineering, and Electric Power Engineering. Our knowledge is of use everywhere where there is advanced technology with integrated electronics. We work with challenges for a sustainable future in society of today, for example in the growing demands concerning efficient systems for communications and electrification. The Internet is powered by optical fiber communications, with the world's data flowing through drawn pieces of glass, each slightly thicker than a human hair. While technological advances have enabled six orders of magnitude increase in throughput over the last half century, we are rapidly approaching the so-called capacity crisis, where throughput will flatten out, but demands increase unabated. This project will study the hypothesis to what extent optical fibers still hold large and untapped potential to achieve unprecedented data rates, both theoretically and practically. The crux is considering the available physical dimensions in a joint manner, as opposed to independent. In this project, supported by a large grant from , we will enter this uncharted territory with two ambitious goals: to characterize the full-dimensional capacity of an optical fiber and to develop a spatial-spectral super-channel demonstrator to show significant throughput gains over current systems. Postdocs: your main responsibility as postdoc is to perform research and to present your results in major journals and conferences. Most of the research will be conducted in cross-disciplinary teams. A limited amount of teaching and supervision may also be included in the position. A PhD degree before Sept. 1, 2019 is required. PhD Students: As a PhD student you will be part of an international research environment while you expand your knowledge of the field and write your thesis. With a PhD degree in this area, you will be in great demand from Swedish as well as international industry, and you will have a very good basis for further academic research as well. A Master's degree before Sept. 1 2019 is required. All positions come with a term-limited contract (2 years for postdocs, 4 years for PhD students) and an attractive salary. Read more about and our for employees. Note that the positions have different requirements. If you fulfill the requirements, you may apply for more than one position, but if you do, state your priorities among the positions. All applications are listed at Simply click on the position you wish to apply for. Applications will be processed continuously until March 17, 2019. The starting date should be between May 1 2019 and September 1 2019.